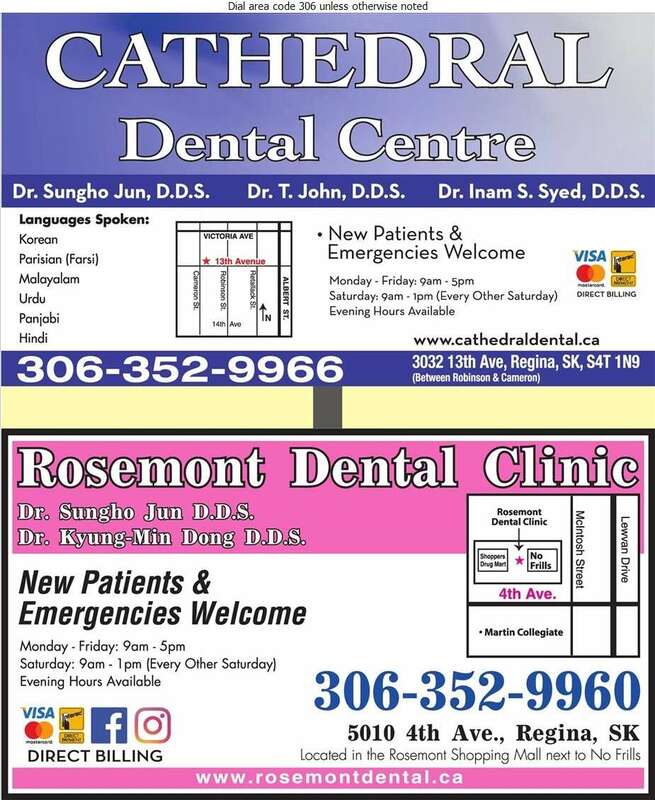 Come visit Dr. Sungho Jun at Cathedral Dental Centre. We are a general dentistry practice that helps you establish a customized dental hygiene plan. Our services include dental examinations, teeth cleaning, teeth whitening, X-rays, fillings, extractions, capping, bridgework and more! New and emergency patients are always welcome. 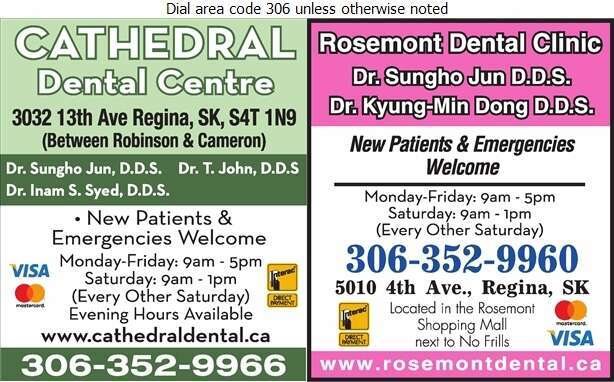 Stop in at 3032-13th Avenue or call us at 306-352-9966.